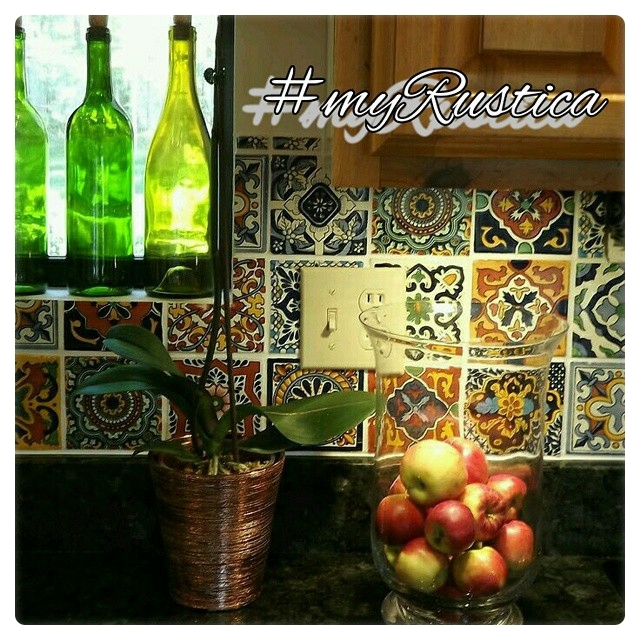 Mexican tiles look great on a kitchen backsplash. Since the tile surface is glazed, they are safe to use on kitchen counters and dining tabletops as well. Install a single pattern or solid color tiles for more modest look or a mix of talavera patterns to give your kitchen rustic look. Since Mexican kitchen tiles are hand cut, it is necessary to leave larger spaces between them to levitate the differences. For installation use regular tile glue or cement and cut them with water saw only to prevent damage. Mexican kitchen tiles develop surface crazing making them antique looking. Mexican Tile "Fleur de Lis Blue"
Mexican Tile "Fleur de Lis"
Mexican Tile "Fleurs de Lis"
Mexican Tile "Flor Arabe 1"
Mexican Tile "Flor Arabe 2"